Reedsburg, wi, NOVEMBER 19, 2013 — Sound Devices, specialists in portable audio and video products for field production, introduces the 633, a six-input mixer with integrated 10-track recorder. 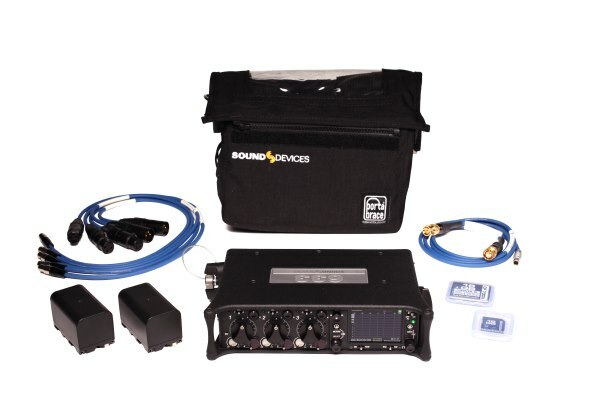 It includes Sound Devices’ proprietary PowerSafe technology and a unique four-way power supply for maximum operational runtime. As the next must-have production tool, the 633 has a full complement of I/O designed into a compact, portable device, ideal for over-the-shoulder applications. The powerful 633 mixer/recorder features six inputs, with three high-bandwidth mic/line XLR inputs complete with phantom power, high-pass filter, input limiter and variable pan. Three additional line-level inputs appear on TA3 (mini-XLR) connectors. All inputs are assignable to any output bus. 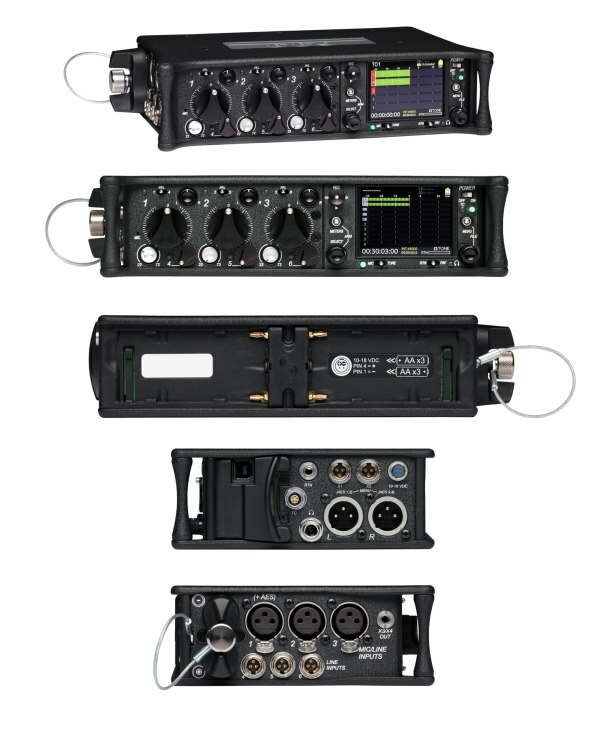 AES digital I/O, including support for AES42 digital microphones, is available. The 633 offers 10-track 24-bit, 48 kHz uncompressed polyphonic or monophonic broadcast WAV file recording (96 kHz for eight tracks, 192 kHz for six tracks) or timecode stamped MP3 recording to CompactFlash and/or SD cards. All six inputs plus Left/Right and Aux 1/2, can be recorded to individual tracks. Similar to Sound Devices’ 12-input 664 Production Mixer, the 633 offers dual card slots that record to either one or both cards simultaneously, with the added ability to assign different tracks to each memory card. Unique to the industry, the 633 is equipped with a four-way power supply and Sound Devices’ proprietary PowerSafe technology. This four-way powering allows for multiple, simultaneous power sources including external DC on a Hirose 4-pin locking (12-18 V), two removable and independent L-type Lithium-ion batteries and internal AA battery powering (six-AA). The unit detects when power sources are removed and seamlessly transitions to an available power source. With its PowerSafe circuitry, when all power is removed the unit remains on for 10 seconds to close all file operations and properly shut down. With PowerSafe, a complete power loss has no effect on the recording. PowerSafe also provides two-second ‘power-on-to-recording’ so the mixer is ready for operation at a moment’s notice. The 633’s high-accuracy, Ambient-based timecode generator/reader assists in multi-camera and double-system sound applications. All common production timecode rates and modes are available. Extensive file metadata is supported along with the timecode. The 633 also features a keyboard port for quick and easy metadata entry. Designed for the demands of field production, the 633 has easily accessible, tactile front panel controls. Its LCD-based setup menu offers easy navigation and control of its extensive features. Menu options for metering, display and headphone favorites are among the selections that can be saved to scenes, which save the complete state of the mixer to memory cards in order to quickly reproduce a setup. The 633 is also available as a complete package, the 633-KIT, which includes the unit plus all of the accessories needed for use in the field. This production-ready kit includes the 633 mixer, the CS-633 Production Case, two L-type Lithium-ion batteries, one SD and one CF card, plus TA3-to-XLR cables. The 633, like all Sound Devices products, is designed to withstand the physical and environmental extremes of the field. Its top and bottom chassis panels are made from molded, metalized carbon fiber for superior durability and weight reduction. The chassis panels are also gasketed for water resistance.